Account Manager makes it easy to manage your meetings or review the details of past meetings. On the upper left hand corner of your Account Manager you can see your Profile name. There you will see your Meeting URL and Conference Call information. 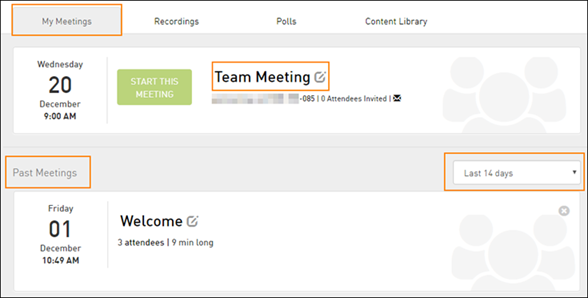 An ad hoc meeting can be started by clicking the START A MEETING NOW button or by clicking on your Meeting URL. 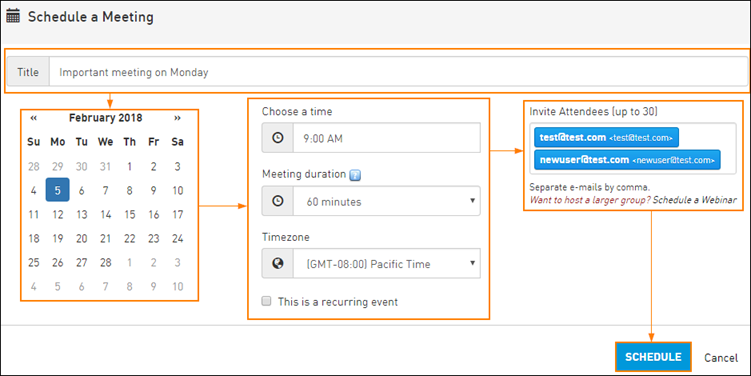 ​Meeting users may click on the Schedule a Meeting button to set up a meeting for a future time or time. To see your Scheduled Meeting and all the details, click on the Meeting title to view or edit the details. If you are within 1 hour of the Meeting time, go ahead and click Start This Meeting. 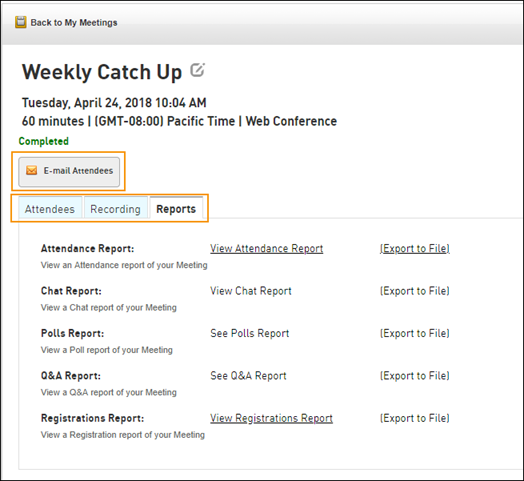 Click the title of any of your Past Meetings to view the details. Here you have all the data you need after the meeting. Attendee list, Recording management, and Meeting Reports. You may also email all of the attendees with a follow up if needed.